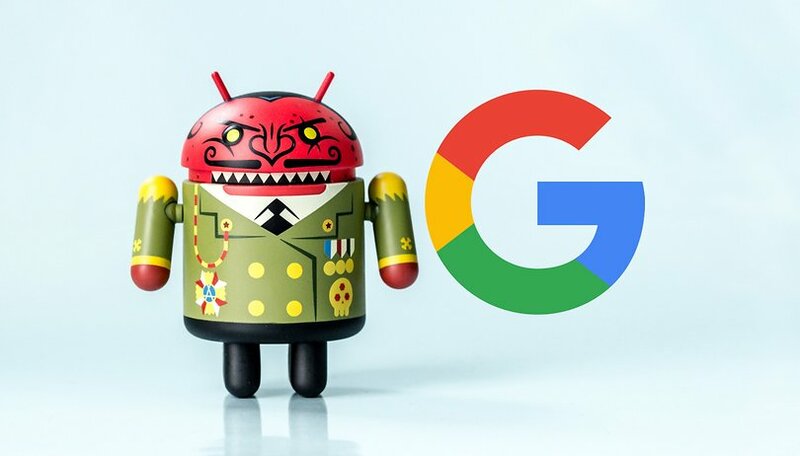 Google has made enemies over its long rise to online dominance, but now it's in the crosshairs of the most powerful man in the world. President Trump has accused the search giant of being biased against him and against pro-conservative news. Of course the Mountain View company has countered this claim, but in a climate of such little trust in the media and the president, what does it matter? The EU vs Mountain View: who's being evil? No previous US president in history has owed so much of their popularity to the internet and social media yet, at the same time, the president's conservative base are skeptical of the 'liberal' culture around the tech giants such as Google and platforms such as Facebook and Twitter. So when the president accuses Google of being biased against him, a lot of people were ready to take it to heart. Yesterday the president tweeted the above video hashtagged #StopTheBias, which argued that Google discriminated against Trump by not putting a link to his first address to Congress on its homepage. Trump claims that the search giant stopped promoting State of the Union livestreams on its homepage after his presidency began. Of course, you can guess what happened next. Multiple media outlets and Google itself were quick to debunk the claim, which is still on Trump's timeline at the time of writing. In a statement to Buzzfeed news, Google explained that it historically has never promoted the president’s first address to Congress, which is not an official State of the Union address, and that the president’s complaint was groundless. Google did, however, promote the livestream of President Trump’s State of the Union on the google.com homepage, as confirmed by an Internet Archive capture and the Wayback Machine. Despite this refutation and the corresponding evidence, this hasn't stopped the claim from reverberating around the web. The #StopTheBias warcry and related video have been shared by all the usual suspects such as Gateway Pundit and Alex Jones' Infowars as well as GOP chair Ronna McDaniel. In most cases, shared without Google's explanation, of course. But if you already think Google is biased, then does it even matter whether its side of the story is present or not? In this battle between the US President and one of the most powerful corporations in the world, most people already know who the villain is. If you believe the president, Google is just one part of a vast mainstream "Fake News Media" media (as opposed to "Conservative and Fair Media") cabal conspiring against him. Trump has Google in the crosshairs right now but a perceived left-wing bias with big tech, in general, is an issue. During Mark Zuckerberg's Congress hearings in the wake of the Cambridge Analytica scandal, the Facebook CEO had to field questions about whether his social network was biased against conservative news. Earlier this week, Trump also pointed the finger at Facebook and Twitter, highlighting that many conservatives feel that big tech is against them in general. So is President Trump a whining buffoon or the victim of media censorship? Try, with all the evidence for your conviction you can collect, to convince someone who disagrees with you. You're not likely to get far. In the information age, there's so much news in circulation from so many sources, all with varying degrees, that people without the time or inclination to thoroughly research anything they read (and the more news happening, the less time there is to digest each instance).The result? The news that appeals most to your own biases is going to 'feel right' to a stronger degree and likely the one you take to heart and commit to memory before the next outrage pops up on your news feed. The lack of accountability and opaqueness of big tech such as Google, Facebook and Twitter, whose algorithms control which news and type of story comes most easily to attention is an issue that affects everyone across the political spectrum. On September 5, a fresh round of Congress hearings on Silicon Valley will begin with Facebook COO Sheryl Sandberg and Twitter CEO Jack Dorsey confirmed to attend. The attendance of Alphabet's elusive CEO Larry Page is still unconfirmed (and probably unlikely). Whether we'll see any regulation come of this remains to be seen. In the end, what matters to many who took up Trump's hashtag isn't what Google (or Trump) actually did or not. It's the feeling that the narrative around us is manipulated by forces we can neither understand nor control. If Google, Facebook, and Twitter want to maintain their credibility and regain trust, they're going to have to do more than simply refute and counter accusations of bias. They must restructure to become more transparent to their users, or people left on the other side of the curtain will always suspect a rigged game. What do you think tech companies should do? Is government regulation necessary for Google, Facebook and online content platforms? Unfortunately Buzzfeed is really not trusted so anything they publish a lot of people are going to assume is BS, which doesn't help if they're actually right about something Trump DOES do wrong. If the evidence is there though that Google don't get involved with such things then there's nothing to be said against it if it's substantial enough. If the algorythms are rigged against conservative or others on the right i can't say for sure but at least from youtube you can see that conservatives get a real hard time just to be able to talk to people on campuses in America without threats of violence from supposed anti-fascists (bit ironic if i may say so myself). It doesn't help when platforms shut down people who have different opinions though and when they all go in favour of suppressing one then it becomes just a matter of time until they start targeting people who simply disagree with them. It's a weird time and the consequences are going to be dire when truly undesirables gain more momentum because of the state of things now..
We all know where your bias lies. I come here for Android information, not political BS. Stick to what you know. The answer should provide you with some relevance. If you don't like "political BS" then don't click on the article that has Trump in the name. I don't use google, not 100% because of their tinkering with rankings, but mostly because of their tracking. I use an alternate, and have for years. "In the end, what matters to many who took up Trump's hashtag isn't what Google (or Trump) actually did or not. It's the feeling that the narrative around us is manipulated by forces we can neither understand nor control." This was the most important part of the whole article.